Immediately at the 18-hole golf course is the gardener's house, surrounded by a well-kept garden with a large terrace, just a few minutes walk from the Ernegg Castle. The Gärtnerhaus offers two bedrooms (one double and one twin), a bathroom, a kitchen with a dining table and a living room with two sofa beds, which is also available as 3. Bedroom can be used. Self-sufficiency. Garden culture. Lawn care. Why a castle needs or needs a gardener you can ask the current castle owner. Georgina Auersperg Newall is also and above all garden architect. Immediately at the 18-hole golf course is the gardener's house, surrounded by a well-kept garden, just a few minutes walk from the castle. The Gärtnerhaus offers two bedrooms (one double and one twin), a bathroom with a washing machine, a kitchen with a dining table and a living room with two sofa beds, also available as a 3. Bedroom can be used. 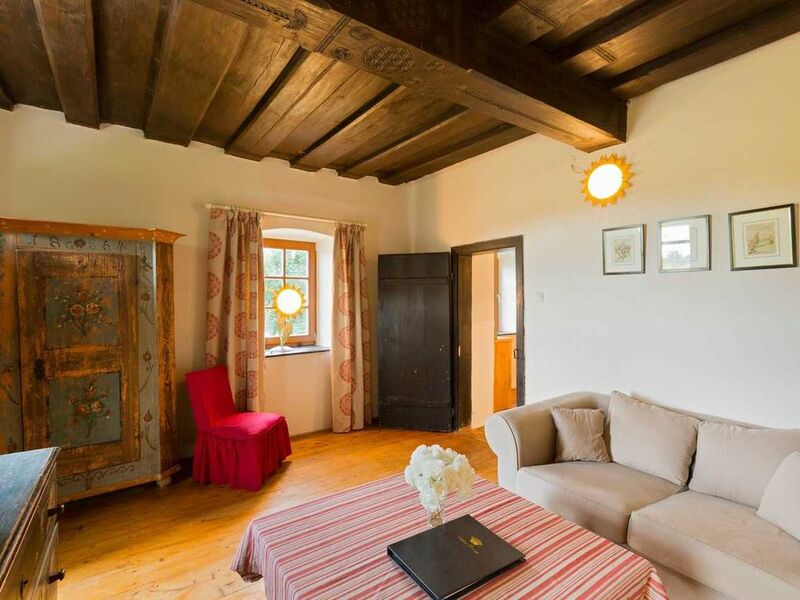 The Gärtnerhaus is ideal for accommodating additional guests at larger festivals in the castle, but can also be rented as a holiday home for a long time. The kitchen is fully equipped for 4-6 persons, on the terrace there is a barbecue, seating, umbrella and sunbeds. The garden is fully fenced and parking is available in the driveway. From Gärtnerhaus you have a sweeping view of the golf course and the two castles Ernegg and Wolfpassing. A discounted green fee awaits you as a resident of the houses and rooms of Ernegg. The Gärtnerhaus is located in the beautiful Mostviertel, surrounded by the nature of the 18-hole course of the golf club Schloss Ernegg.